PrEP Is Approved for Adolescents: Why Isn't it Being Prescribed More? The US Food and Drug Administration (FDA) approved pre-exposure prophylaxis (PrEP) for use in adolescents in May 2018, but hurdles at the patient, physician, and health care system levels can sometimes hinder accessibility. According to statistics from the US Centers for Disease Control and Prevention, adolescents aged 13 to 24 comprised 21% of all new HIV diagnoses in the United States in 2016. 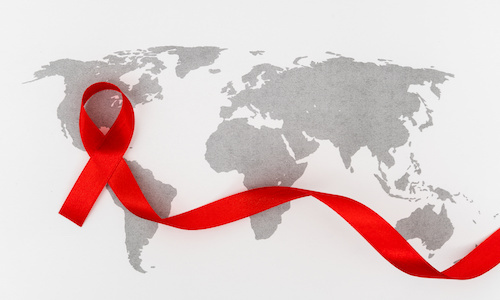 “Adolescents and young adults continue to have an increased HIV incidence rate nationally,” Caroline Carnevale, FNP, MPH, AAHIVS, DNP, student at Yale University, told Contagion®. When taken consistently, PrEP—such as once-daily oral Truvada (emtricitabine 200 mg/tenofovir disoproxil fumarate 300 mg)—can reduce the risk of HIV infection by 92%. But the problem with PrEP is not that health care providers don’t know it exists; on the contrary—a recent study led by Carnevale and published in the Journal of Pediatric Health Care includes data from a survey of 162 adolescent providers. Of those providers questioned, 93.2% had heard of PrEP but only 35.2% had ever prescribed it to a patient. A separate study, published in the Journal of Adolescent Health (JAH), had similar findings. “The behaviors that place a young person at risk of HIV are often not known by the youth’s parent,” Tanya L. Kowalczyk Mullins, MD, MS, FSAHM, FAAP, director of research in the Division of Adolescent and Transition Medicine at Cincinnati Children’s Hospital Medical Center, and author of the JAH study, explained to Contagion®. Another issue that comes with prescribing PrEP to adolescents is adherence. To that end, Carnevale and her team of investigators developed a “comprehensive provider curriculum” to help guide health care professionals through adolescent-specific issues related to PrEP screening, prescribing, and monitoring. The proposed program was reviewed by a 7-expert panel of nursing, medical, and public health professionals.